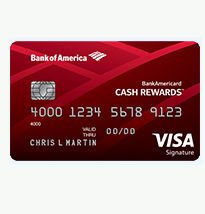 Cardholders can earn 1% cash back on every purchase, 2% cash back at grocery stores, or 3% cash back on gas. Grocery store/gas bonus rewards are valid for up to $1,500 in grocery/gas quarterly spending. New cardholders get 0% APR for the first 12 months as well as online exclusive $100 cash rewards bonus after making at least $500 in purchases in the first 90 days of account opening.